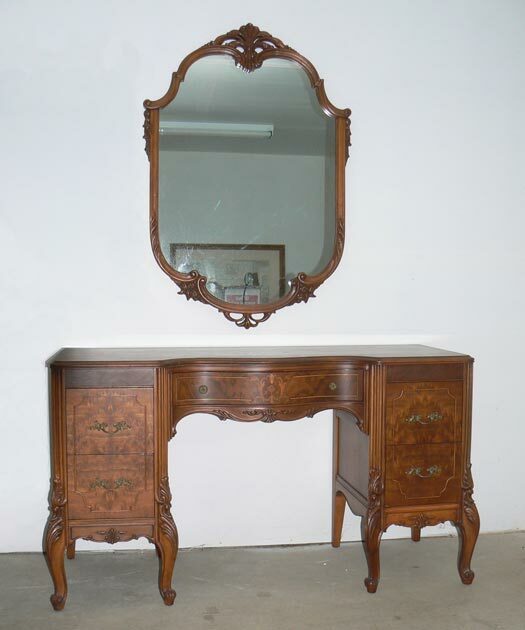 This is a vintage Walnut Vanity and Hanging Mirror. This piece dates back to the 1940s. 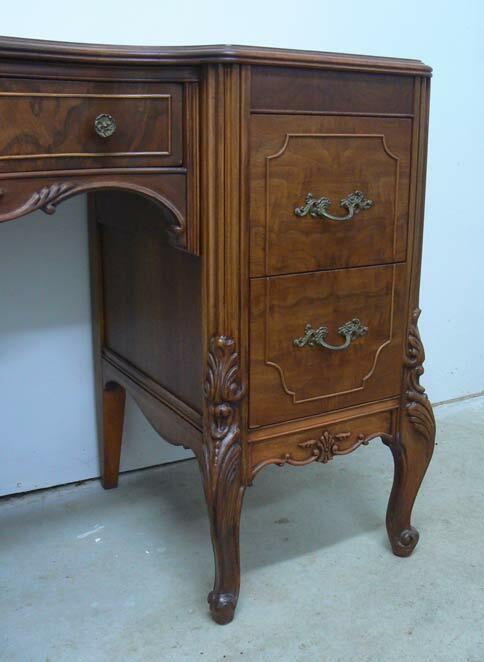 It is a beautiful French style vanity and mirror  featuring inlay, book-matched veneer, molding and carved legs. 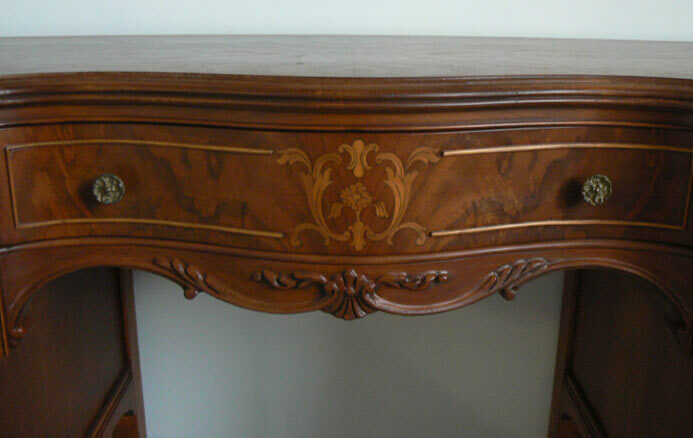 It has been completely restored and refinished. Dimensions are 52" wide, 20" deep and 30" tall. The knee opening is 23" wide. The mirror is 30" wide by 44" tall. Call 503.780.8812 for additional information.